Mothers Against Wind Turbines was founded by mothers whose children have a range of disabilities most which fall into the Autistic Spectrum. Our children struggle with everyday exposures to light, sound, and movement naming a few, among many challenges. Many of our families have purposely chosen to live in quiet rural areas to provide our children the best environment to grow and thrive so they can achieve their best potential in life. With the installation of wind powered generation facilities adjacent to our homes and in our communities we are faced with the unrelenting intrusion and trespass by industrial wind turbines and its associated infrastructures discharging light, noise, movement, electrical emissions into the most intimate of places that should be one of security, peace and our children’s sanctuary. The following article talks about research of noise impacting living spaces and what that means for vulnerable populations such as those with autism, the elderly or those who are noise sensitive. Take a moment and think about the quietest room you’ve ever laid down in; the quietest, stillest place you’ve ever been. No matter how peaceful, how serene, there was still some sound: the rush of water in pipes, the hum of electricity in the walls, the breeze gently blowing, insects chirping; the ambient noise of nature, of life. If you take a 15-minute car ride from downtown Minneapolis, you’ll find a nondescript concrete building with ivy climbing its exterior walls. Orfield Laboratories sits a block away from a bowling alley called Memory Lanes and directly across the street from Skol Liquors. Inside Orfield Laboratories is an anechoic chamber that has been certified by Guinness as the quietest place in the world. That still bedroom you were in? The ambient noise was probably about 30 dBA, or A-weighted decibels — the relative loudness of sound perceived by the human ear. This is a logarithmic scale, so every 10 dBA, you’re either doubling or halving the loudness or quietness. At zero dBA, the human ear can no longer perceive sound. The anechoic chamber at Orfield Laboratories was certified by Guinness at -9.4 dBA in 2004 and -13 dBA in 2013, both for one hour measurements. But over shorter periods, they’ve conducted tests on the chamber that have given readings of up to between negative 22 and negative 23 dBA. That’s just in terms of what instruments can read in the room. The human ear has no way of telling that difference in sound (or lack thereof). If a room or chamber is 0 dBA or lower, you won’t hear anything. Nothing at all. The difference between -9.4 dBA and -23 dBA sounds the same to our pitiful flesh-ears. But it made a difference to me. I wanted to be in the quietest room on Earth…..
Orfield Laboratories primarily works in architecture, product development and in office research. They’re attempting to make living and working conditions better for everyone, with a specific focus on the elderly, people with disabilities, and people who are on the autistic spectrum. Not to put too fine a point on it, but their research is crucial in our busy world. 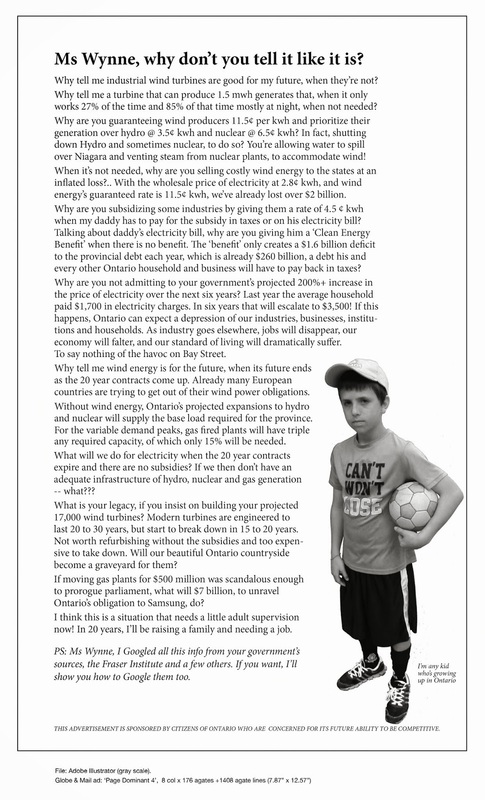 We are compiling a bundle of 1-page victim impact statements to assist the Premier of Ontario and top PC Ministers in understanding the direct impacts wind turbines are having on our lives with the hope of finding some acknowledgement and relief. The amount of information that has been sent into the government in the last decade is enormous but we don’t know how much of it survived Liberal government handling. We are asking, just one more time, for as many as possible to take part in this effort. We’ve worked to put a one-page-per-person statement together with a place for a photograph of you/ family/pets/; whatever you think will give your statement the most personal touch. Each household can fill out one for all OR each household can fill out one for each person. There are no age boundaries for this one either. You can fill in the page, attach to an email and send to Barb Ashbee at barbashbee1@gmail.com Send the photo as well please and we will attach it to your page. If you need any help with doing your statement, please don’t hesitate to call or email. One more important thing to do if you are able is to actually list who you have met with by name ie: MPP-name, MP- name, Ministers or Ministry critics, Environmental Commissioner, bureaucrats,Field Officers, office managers, Public Health units/contacts, Medical Officers of Health, Ombudsman and etc. A separate page has been put together for you to fill out with the information. The fight is not over. On October 2nd, 14 of some of the best of the best wind warriors met at Stevens Restaurant in Markdale. The resounding resolve and heart to continue to fight for the people who have become collateral damage and who continue to struggle with the unrelenting torment from turbine emissions, is strong and remains the top priority for the group that gathered. Steps to move forward are already in the works. Thank you to every single one of you who came and thank you all for your work, expertise, concrete ideas and determination to finish this battle. Finally, after over a decade of documentation and fruitless effort to put the truth of the harm to Queens Park, we have a govt in power that is willing to listen. More to come. Frustrated by what they say are thousands of unreported bird and bat deaths, activists are calling for the new provincial government to take a closer look at the hundreds of wind turbines that dot rural Ontario. These deaths, they say, are not counted properly. Part of that could be chalked up to Ontario’s regulations: large turbines can tower more than 150 metres high but the province only requires inspectors, when counting bird and bat deaths, to measure 50 metres from each base. It is hard to know where to start dissecting the slick spin-doctoringrecently published in The Blade’s Op-Ed pages by LEEDCo, the Lake Erie Energy Development Corp., which wants to erect North America’s first freshwater offshore wind-turbines in central Lake Erie off Cleveland. So-doing would reach far beyond the scope of a newspaper “op-ed.” Beth Nagusky, LEEDCo’s director of sustainable development, is a master at cherrypicking and parading obscure statements as a fait-accompli. Her contentions about the goodness of the proposed six-unit Icebreaker Wind power-generation project, some seven miles offshore, lie between premature and erroneous. They are a masterful act of dissembling, distraction, distortion, and deception. Perhaps “MisLEEDCo” would more appropriate. Ms. Nagusky has posited that Icebreaker’s towering turbines would kill few birds and bats, a claim that simply does not hold up under scrutiny. This is shown clearly for anyone who assesses it thoughtfully. LEEDCo is betting on the glitter of such buzz-words as “economic impact, jobs, and clean energy” to substantiate its stance that somehow the pre-construction research on Icebreaker’s impact is all said and done and we can gleefully ride off into a lovely green-energy future. Wrong. It claims that the U.S. Fish and Wildlife Service has declared the project a low risk to birds and bats. Wrong again. The Service ruled that the project only posed a low risk to a few particular endangered species. It rejected the initial Icebreaker environmental assessment (EA), citing several insufficiencies in regard to birds and bats. The final EA has yet to be filed. No one, including LEEDCo, has seen it yet. Among other unsettled issues, the required technology to monitor post-construction bird and bat mortality simply does not exist. And additional studies, including meaningful radar studies of migrations through the turbine zone, should be mandatory. In its sugarcoating, LEEDCo ignores saying that the initial six units are just the tip of the iceberg. If the Ohio Power Siting Board and related agencies give the green light, this project opens a Pandora’s Box to hundreds or thousands more turbines on Lake Erie and the other Great Lakes. Any negative impacts would be magnified by orders of magnitude. The state of New York has issued a moratorium on offshore wind for just such considerations, as has the province of Ontario, which alone has put 1,250 proposed offshore Erie wind turbines “on hold” while it assesses Icebreaker deliberations. Do you think that the giant Fred Olsen Renewables, of Oslo, Norway, would bother with building just six units here? The big money lies in hundreds. A proposed “buildout” after Icebreaker may run to 1,600 turbines. So this really is not just six little old turbines and a few dead birds and bats. The migratory pathway and wintering grounds of millions of birds, and migratory bats as well, lie in the paths of a potential phalanx of towering 500-foot rotors. Out of sight, out of mind, is no justification. LEEDCo is counting on the public not bothering with facts. Ms. Nagusky singled out Black Swamp Bird Observatory (BSBO) for its criticism of poor, incomplete science that LEEDCo’s hired-gun consultants have proffered about unknown and likely devastating impacts of arrays of offshore turbines. This in the heart of what the National Audubon Society and BirdLife International has declared a Globally Important Bird Area. The Ohio Power Siting Board staff has attached a daunting list of conditions to its preliminary analysis. Last October, contrary to LEEDCo pretentions, the USF&WS argued that a still-unapproved environmental assessment is insufficient. Instead a more serious, detailed, environmental impact statement should be drawn. Yet LEEDCo proselytizes incorrectly that a waffling preliminary assessment means that Icebreaker is clean and green. This project should be stayed unless or until it can assure minimal wildlife impacts based on the most rigorous science. The public should thoughtfully educate itself on the project before forming opinion. Icebreaker is the first small wave in a floodtide. Read the record, not just a “windustry” spin-doctor’s selective fantasizing. OP ED: Who deserves fairness and equity? Since 2007, County groups and individuals have been fighting wind turbine projects in PEC on environmental, human health, cultural heritage and economic grounds. We are grateful that the PC government has taken decisive action to cancel wpd Canada’s White Pines wind project. In a recent open letter to Premier Ford, Dr. Hartmut Brosamle, CEO of wpd AG, asks for reconsideration of the government’s decision to cancel White Pines, because the cancellation is causing the company “serious damage through no fault of its own”. Some comments are appropriate regarding fault. wpd originally chose a location that is the last stretch of undeveloped land on Lake Ontario, on a major bird migration route, much of it within an Important Bird Area. This area is home to multiple endangered species, including Blanding’s turtle and little brown bat. As well, the South Shore is an area of significant cultural heritage value, dating back to UEL days. wpd instructed its sales agents to sign up landowners to host wind turbines secretly, with no notice to the community, and required those landowners to agree to nondisclosure of contract terms. wpd hired consultants who provided it with incomplete and flawed reports to legitimize the project, especially with regard to environmental issues and cultural heritage concerns. Citizens’ groups and individuals had to hire their own lawyers and consultants and launch appeals costing about $700,000 to present the other side. wpd ignored the results of a 2012 plebiscite in South Marysburgh Ward, where the project is located. Ninety per cent of those who voted (turnout similar to that for municipal elections) rejected wind turbines in their ward. wpd never engaged in a real two-way dialogue with the community; instead it proceeded most of the time as if the County was unpopulated. wpd ignored the position of PEC Council, which declared itself in 2013 to be an unwilling host to wind turbines. wpd failed to deliver 75 per cent of the contracted capacity required by its FIT contract, and failed to meet contract deadlines. wpd underestimated the resolve of local groups to protect County residents, the natural environment and cultural heritage, and the many County residents who funded their efforts. wpd ignored the fact of a coming provincial election and an anticipated change of government to one opposing the Green Energy Act and wind turbine projects. wpd made a reckless decision to proceed with construction of the downsized project without final approval by IESO. Wpd is the author of its own misfortune. Via the Green Energy Act, the Liberal government suspended democracy as regards renewable energy development and, for nine years, completely ignored the wishes of citizens and municipalities. The PC government was elected in part because of its willingness to listen to the people. Despite all of the failings listed above, Dr. Brosalme asks for “fairness and equity” for wpd. How many such failings are necessary to disqualify wpd from reconsideration of the government’s decision: only one? maybe three? even all ten? We in the County have been seeking fairness and equity regarding wind turbine projects for more than a decade, involving many thousands of hours of volunteer time. It’s the government’s choice, and we are grateful that it has made a choice “for the people”. Finally, it is important to acknowledge the strong support that Todd Smith has provided to our community and our cause since he became MPP in 2011. It’s been good to know that he’s had our back at Queen’s Park.